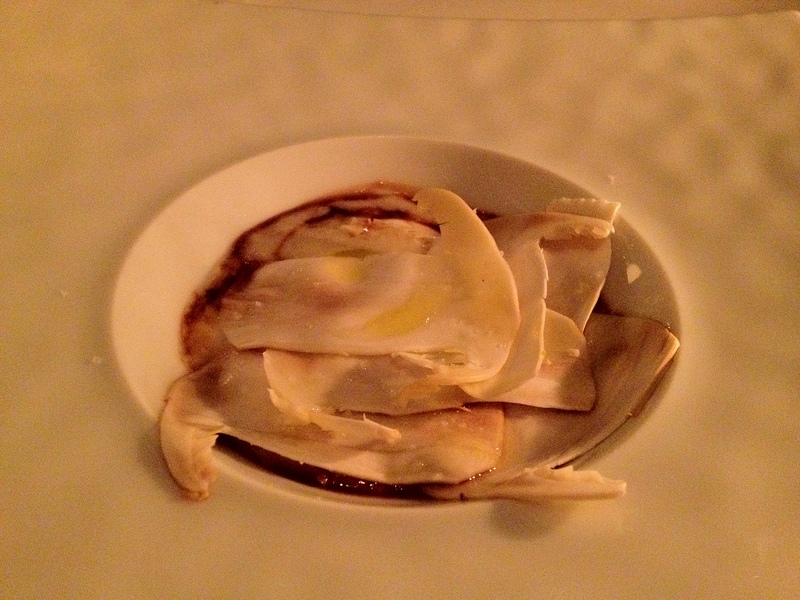 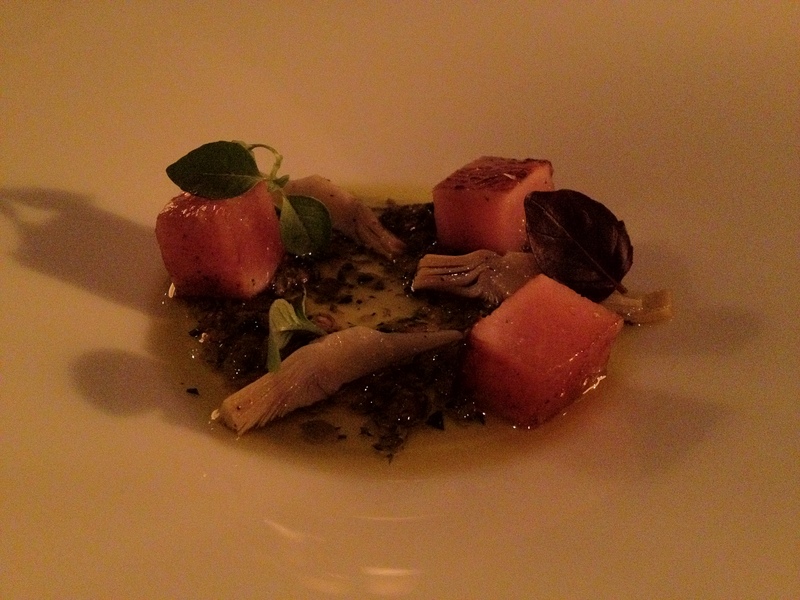 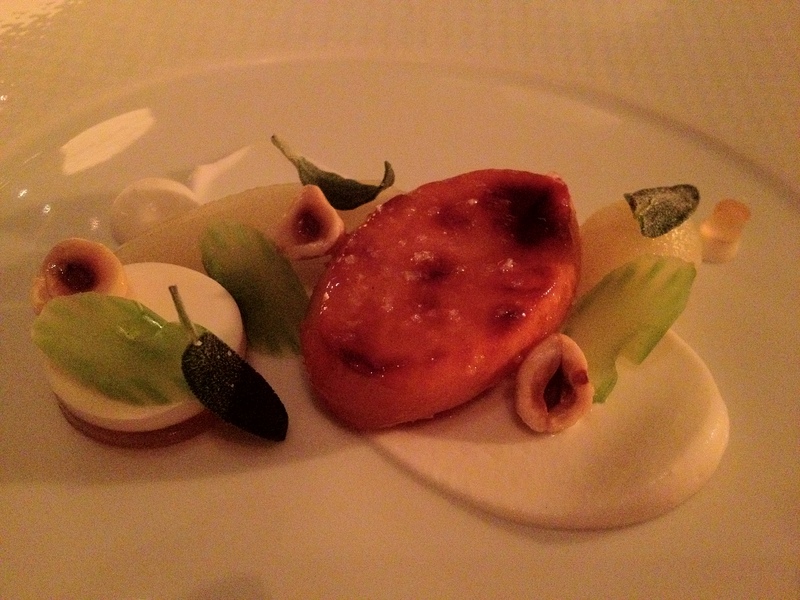 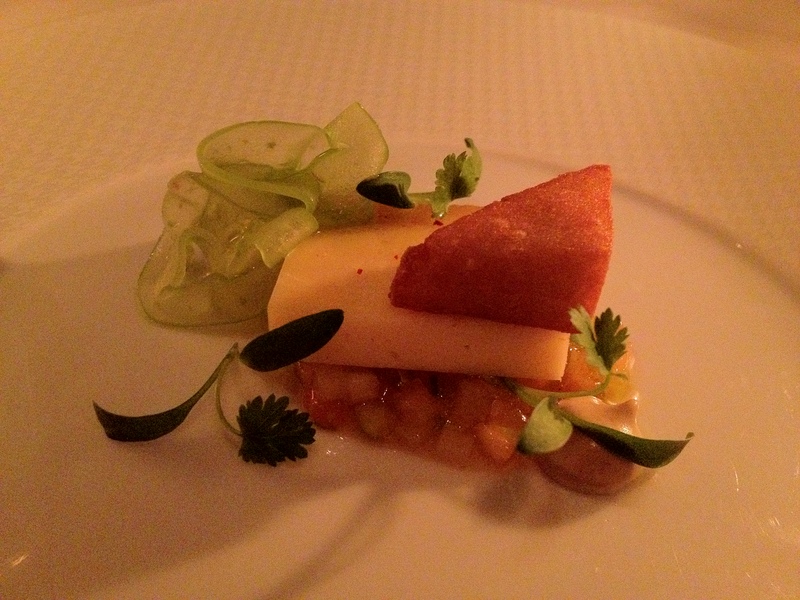 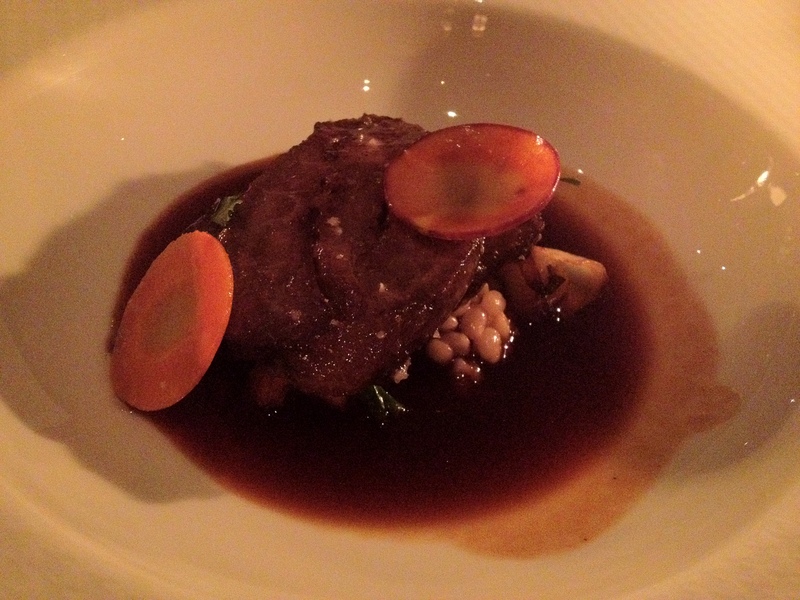 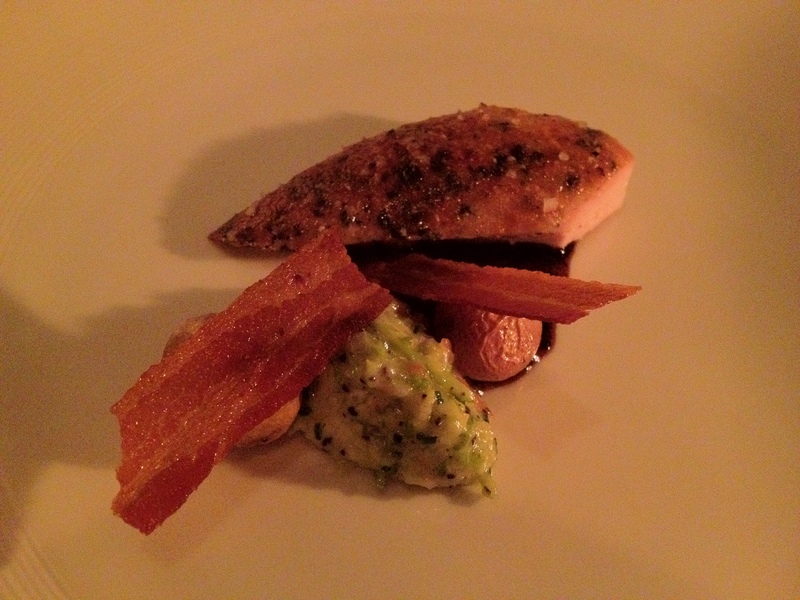 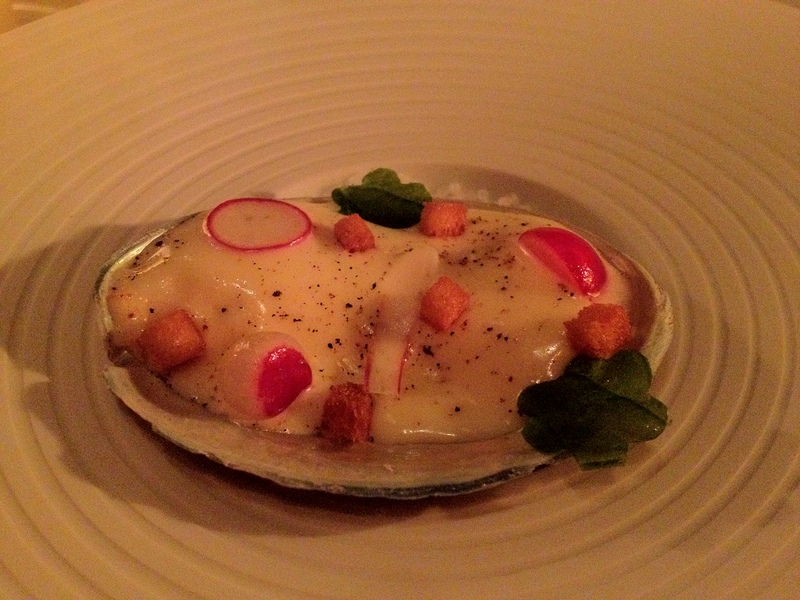 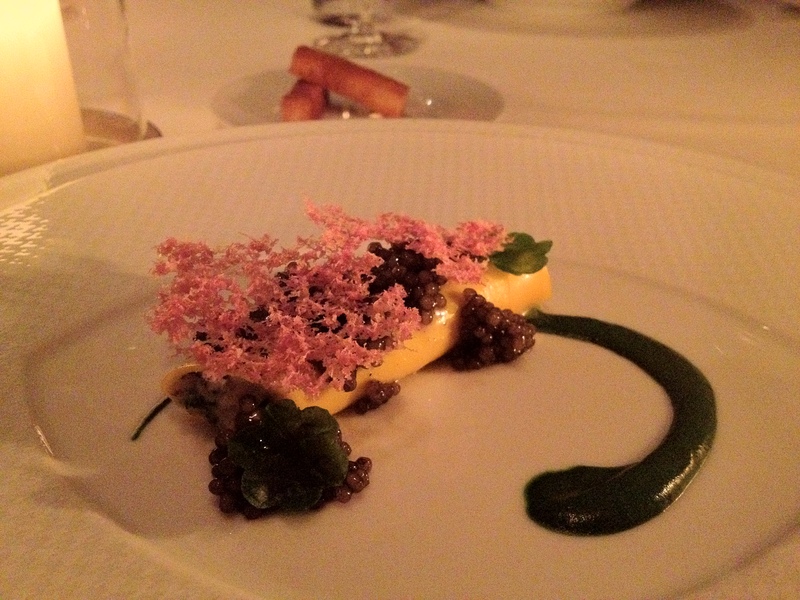 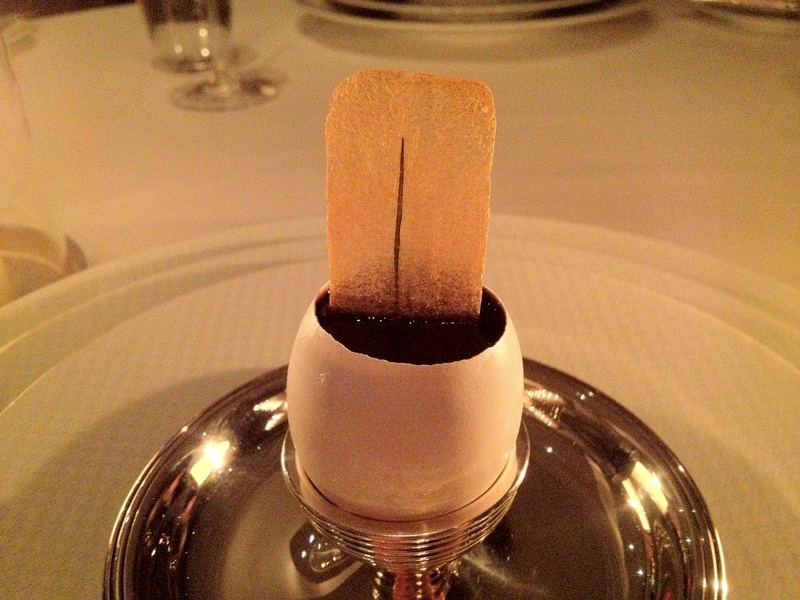 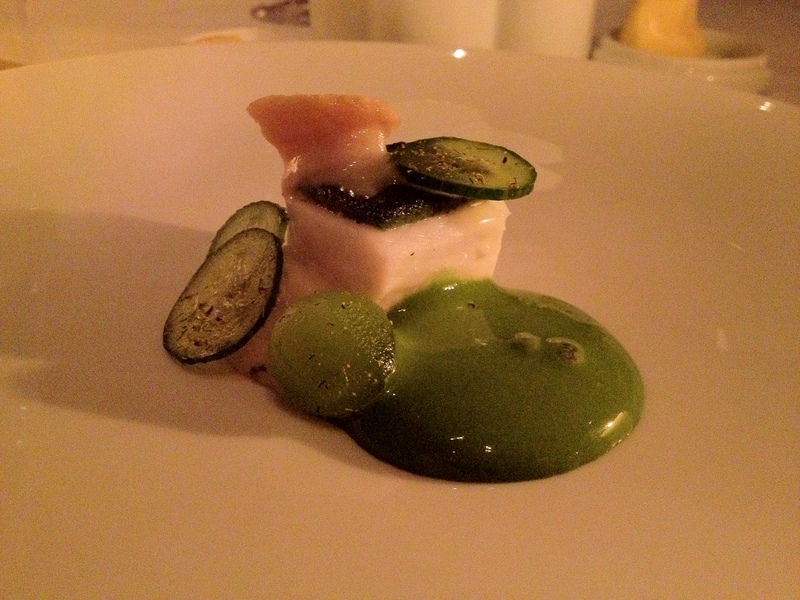 Home > Eating, New York City, North America	> NYC: Per Se (Sep. 2012 #1): Dinner with 2Ls! 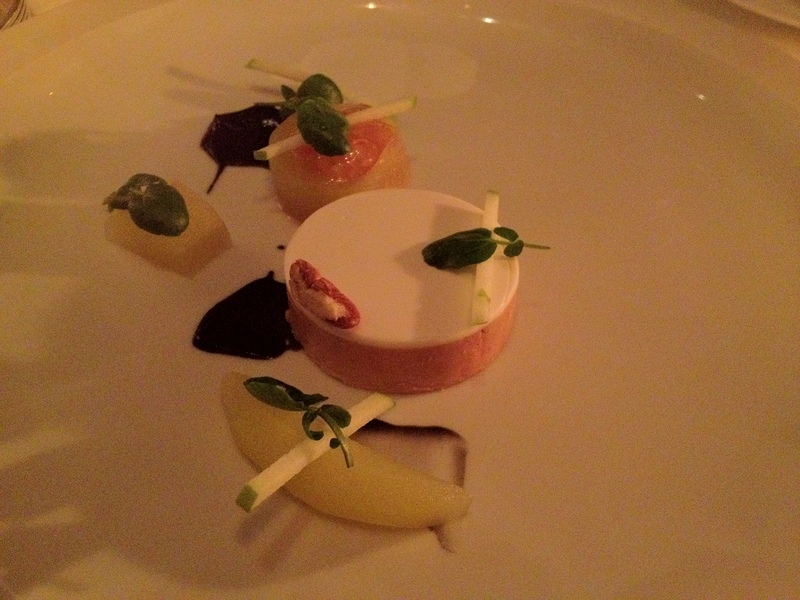 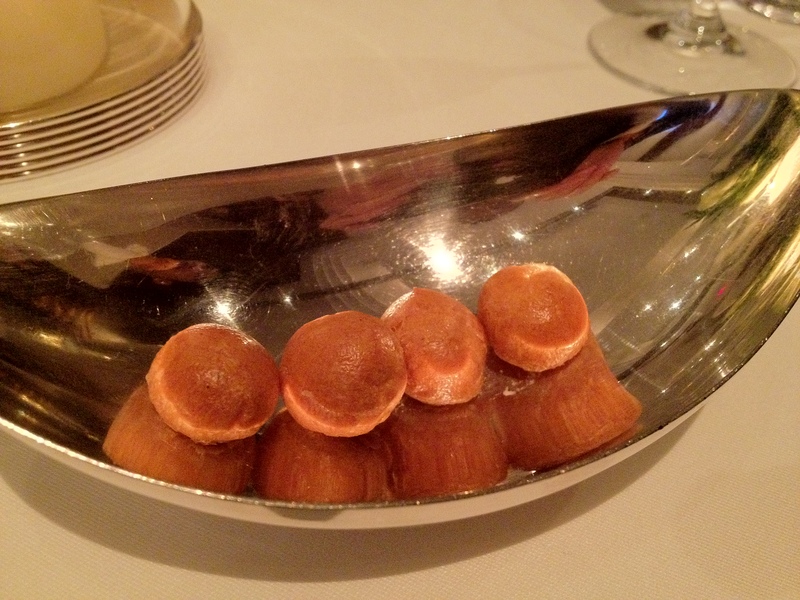 NYC: Per Se (Sep. 2012 #1): Dinner with 2Ls! 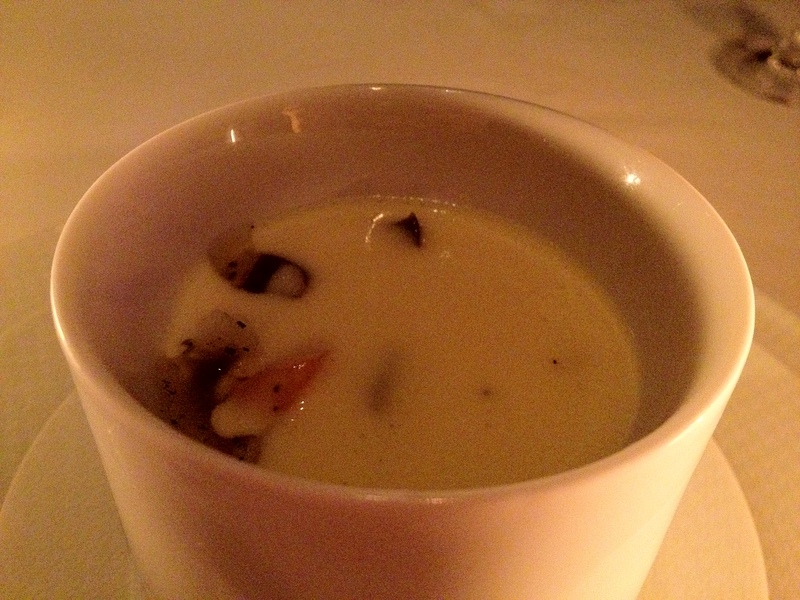 My iPhone doesn’t take very good pics at night :(. 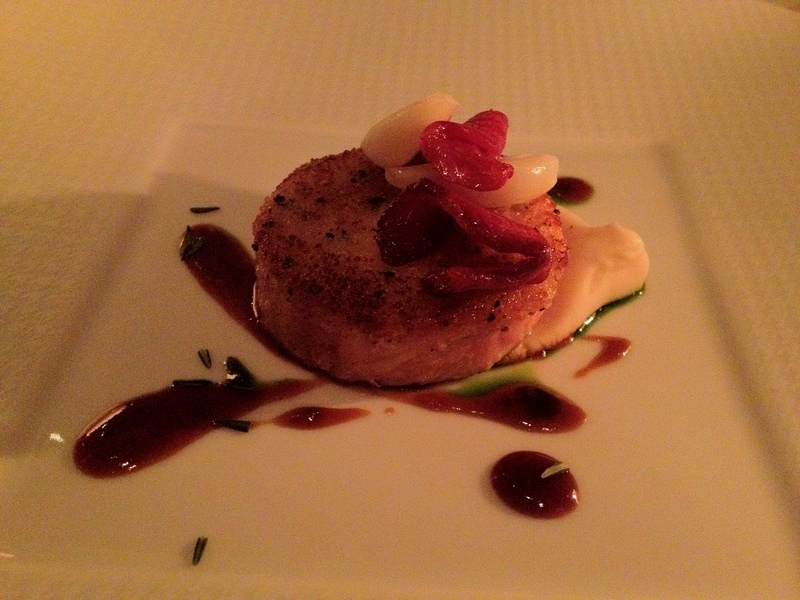 According to Greg, the Maître d’, they now serve swordfish somewhat regularly (at least in the past month or so). 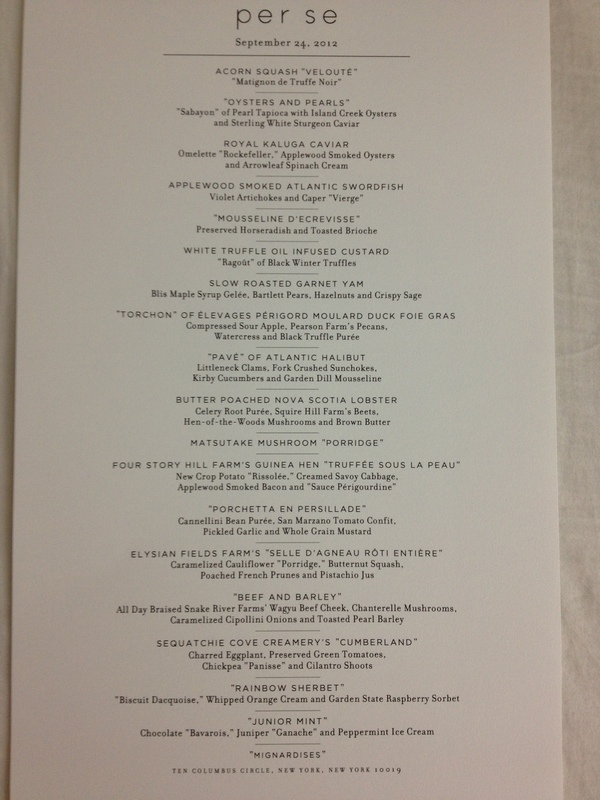 This is kind of cool because I remember them serving it for the first time during the super-extended tasting I had on July 29. 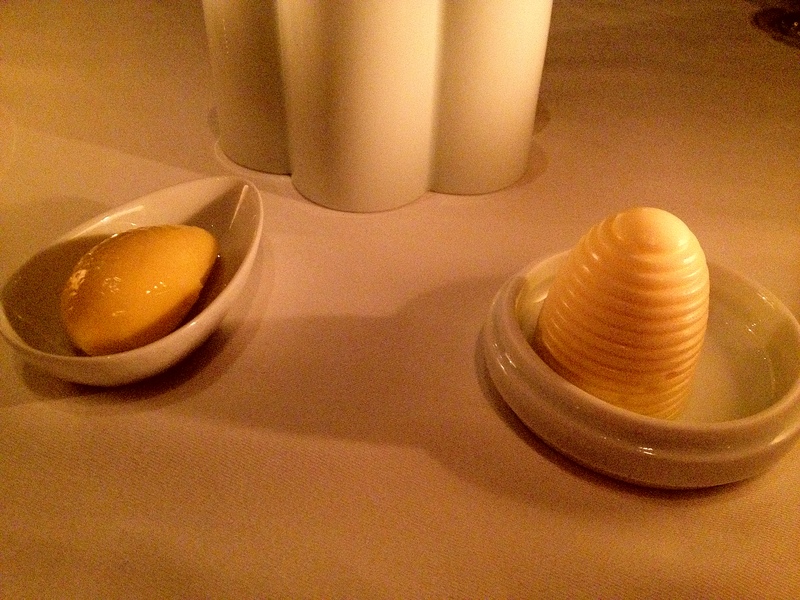 Left: Salted butter from Animal Farm in Orwell, Vermont. 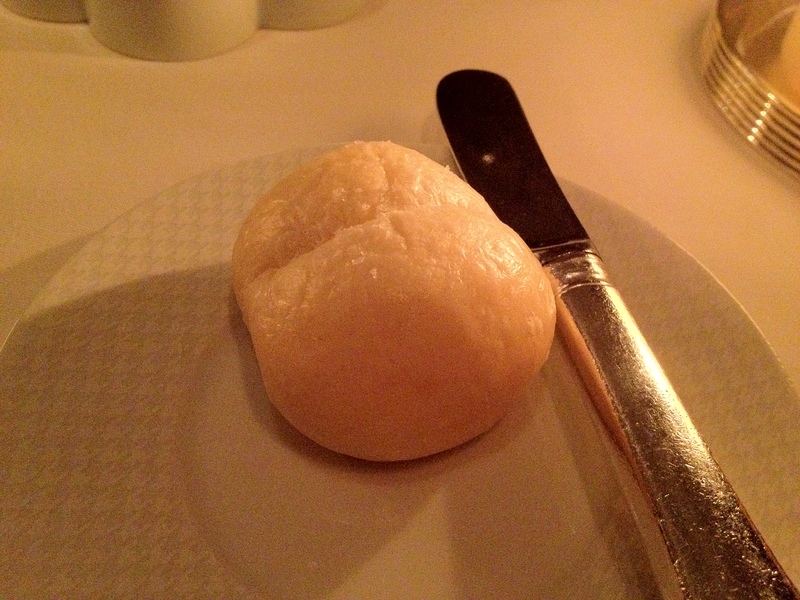 Right: Unsalted butter from Straus Family Creamery in Marin County, California. 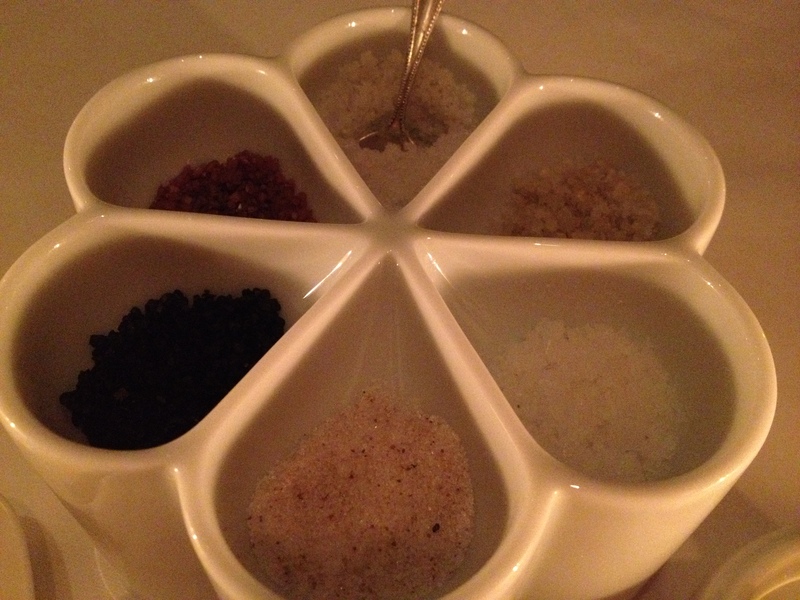 They give you six kinds of salts to pair with the foie gras. 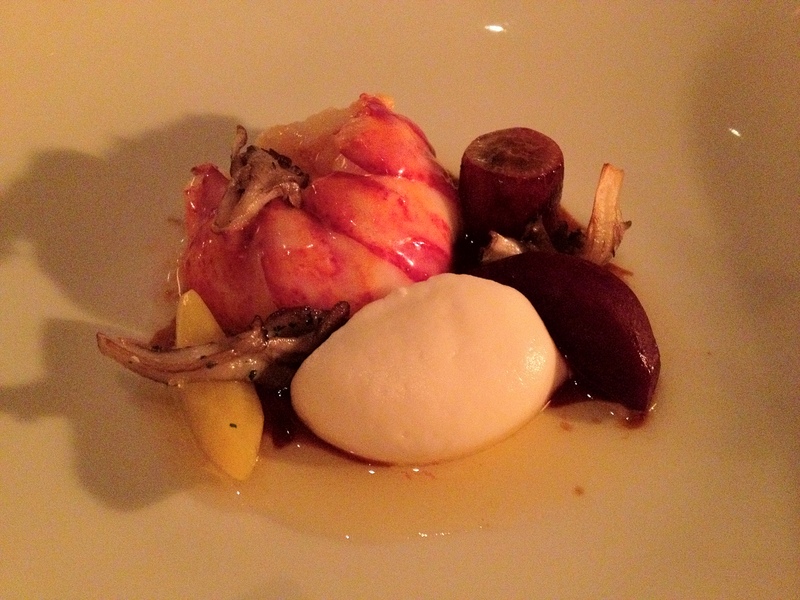 The butter-poached lobster was amazing as usual, but the brown butter made this dish EXCELLENT (elevated this dish to the next level, yadayada). 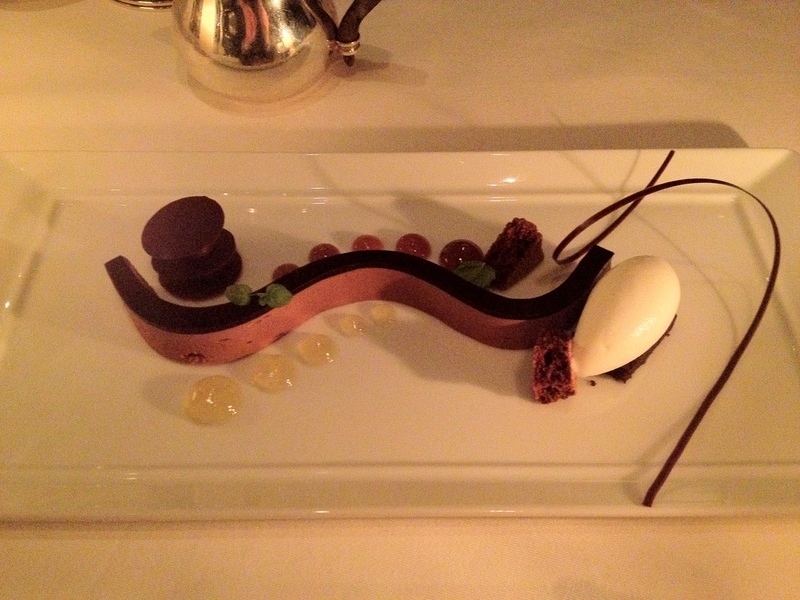 I thought this dessert was really complex; there’s a good mix of textures and flavors, and the peppermint aspect balanced well with the sweetness of the chocolate. 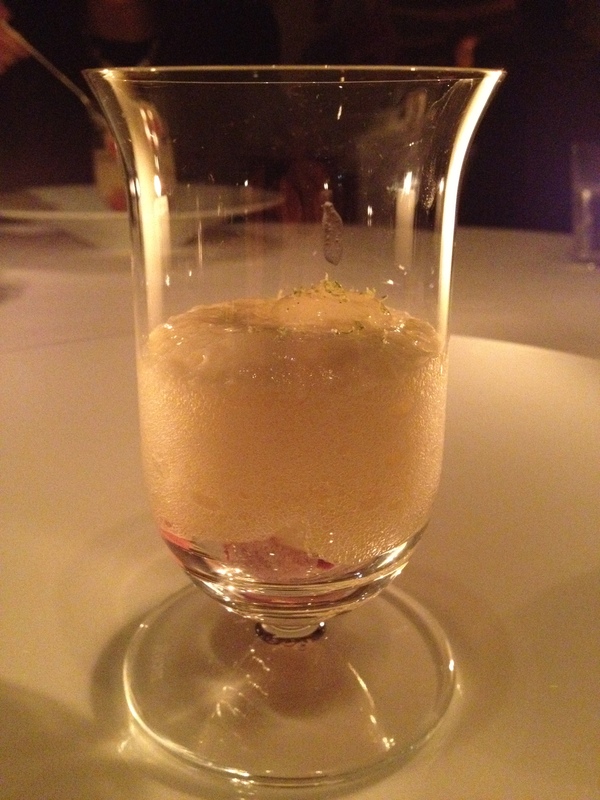 HOWEVER, my friend (who I’m not allowed to name here) decided to drastically change my perception of this dessert FOREVER by commenting: “btw, the junior mint photo on your per se album looks like a giant sperm.” REALLY? 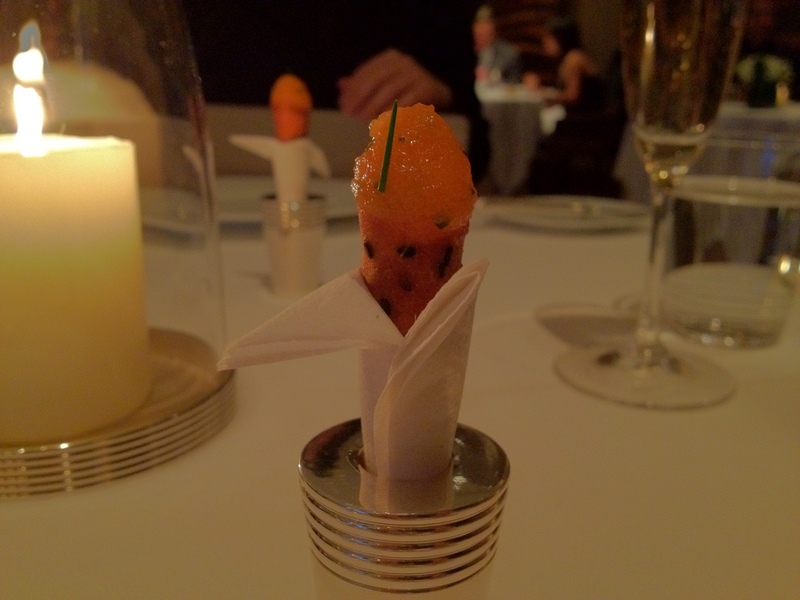 Do you have to say that? 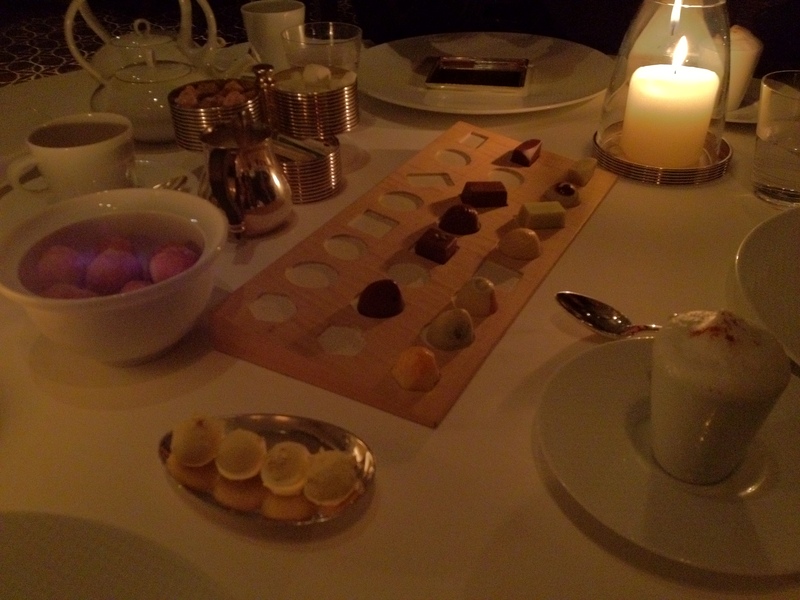 Props to my friend Kevin, who ate a pretty amazing total of 15 chocolates. 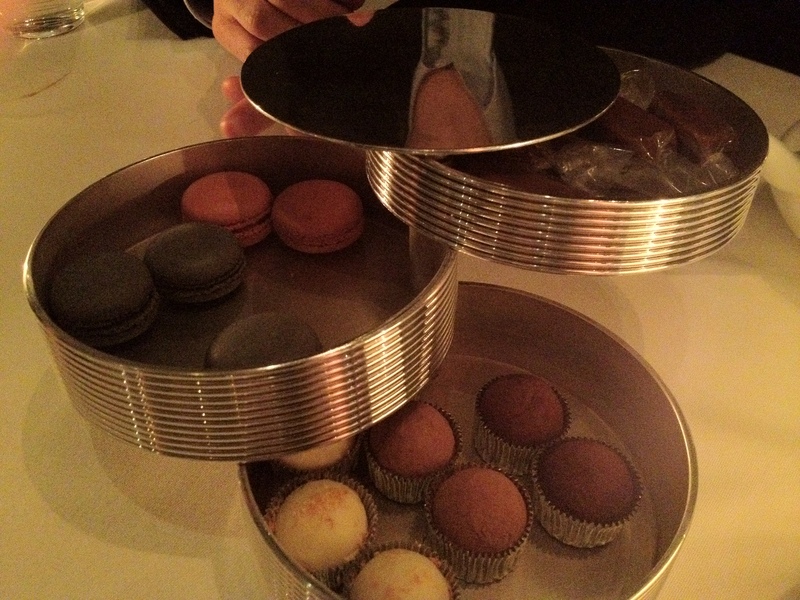 Steven made a $10 bet with Kevin that he wouldn’t be able to finish all the mignardises hahaha. 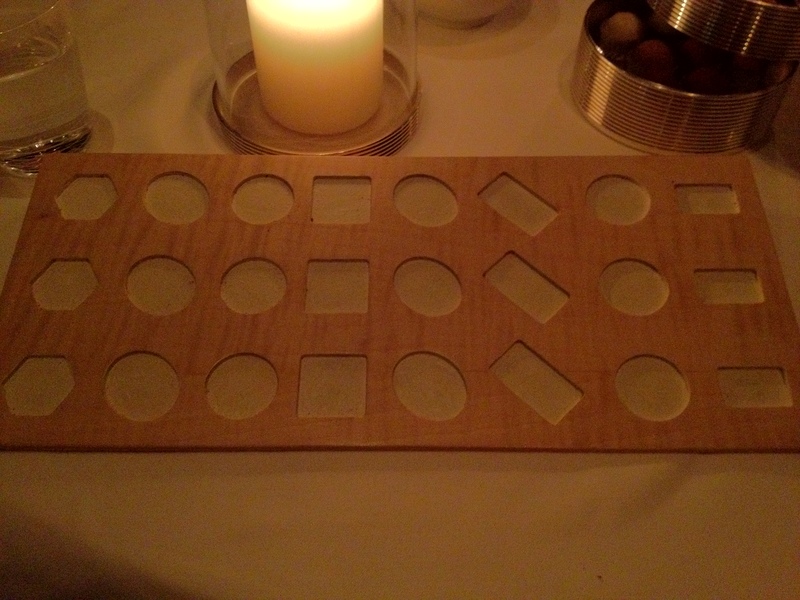 He failed :(.